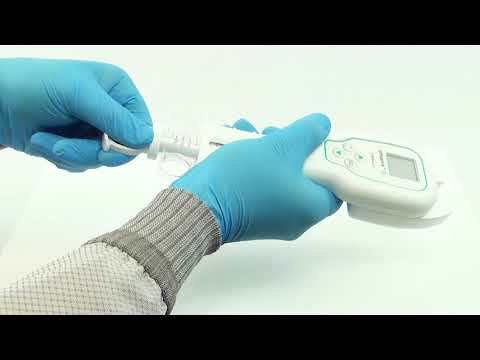 Our most advanced dialysate meter to date,the pHoenix XL digital dialysate meter is a convenient, hand-held, syringe-style meter for quick and accurate measurement of conductivity, temperature and pH. All without the hassle of annual calibration. We have combined two of your most valuable NIST-traceable standard solutions into one bottle: 14.0 mS/cm and 7.00 pH in one solution! Make your daily calibration in half the time so you can focus on what matters most: patient care. Make sure you’re getting the best performance from your digital dialysate meter. Let Mesa’s expert technicians restore your meter to its original optimal working condition. Mesa’s new 50 mS Conductivity Standard Solution allows the user to verify accurate readings during final bicarbonate testing using a NIST traceable standard as a qualified data point of 50 mS during meter verification and calibration. Dialysis is based on the diffusion and ultrafiltration of fluid across a semi-permeable membrane. As blood flows past one side of a semi-permeable membrane, dialysate flows by the other side. Fluid and smaller solutes and pass through the membrane, but larger substances (e.g. large proteins and red blood cells,) are blocked by the membrane, mimicking the filtering process that takes place in the kidneys. Hemodialysis works by removing waste and water from circulating blood by filtering it outside the body through a dialyzer which contains a semi-permeable membrane. Blood and dialysate flow in opposite directions, contributing to the concentration gradient that allows the maximum amount of urea and creatinine to be removed from the blood. Dialysis solutions contain similar levels of certain minerals (e.g. calcium, potassium) as healthy blood. The blood of dialysis patients contains higher levels of potassium and urea than the dialysate so constant replacement of the dialysate through the dialysis process maintains this imbalance ensures that undesired solutes are removed from the patient’s blood. For bicarbonate, the level is set slightly higher than healthy blood to encourage diffusion. Individual patient needs dictate the concentrations of the components of dialysate, typically prescribed by a nephrologist. To ensure patient safety, Mesa offers several digital dialysate meters to help the nephrology technician verify that the dialysis machine is functioning properly. The pHoenix, HYDRA and NEO-STAT test various parameters utilizing Mesa’s easy to use syringe style concept which is small in size and offers a host of advantages including a large, digital display, one-touch calibration and an auto-off battery saving feature. 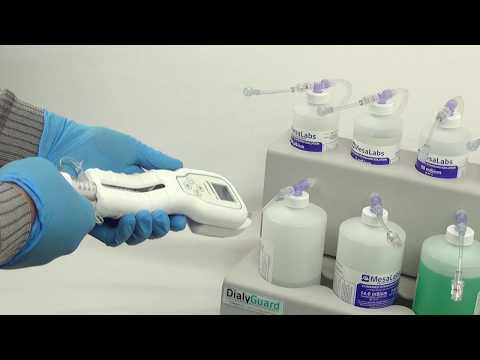 In addition to these syringe style digital dialysate meters, Mesa offers its 90XL technician meter which can be used to test and calibrate all types of delivery systems and water purification systems. Mesa Labs maintains a sophisticated calibration lab for all of its instrument products, including its line of digital dialysate meters. Mesa’s in-house calibration is far more extensive than the user calibration options available to our customers. Mesa’s dialysate meters, in general, have two sets of calibration coefficients. A set that is exposed to the customer/user and is used to make minor adjustments to the accuracy of the device and a set that is exposed, in general, only to Mesa’s in-house calibration software. Also, Mesa’s Calibration lab has the N.I.S.T. traceable standards at the facility to calibrate the meters to. A typical user doesn’t have access to N.I.S.T. traceable standards. Lastly, if there is an issue with the function of the meter, Mesa has the OEM parts to correctly service, repair and re-certify a customer’s meter. Should an instrument or meter need repair, it can only be accomplished at our factory.